When I checked the mail box yesterday evening, I got an undeliverable item notice from post office. It was a non-standard-size international mail from my friend in Ohio. I asked him what it was. He said it's a small version of me. I asked them for re-delivery this moring. 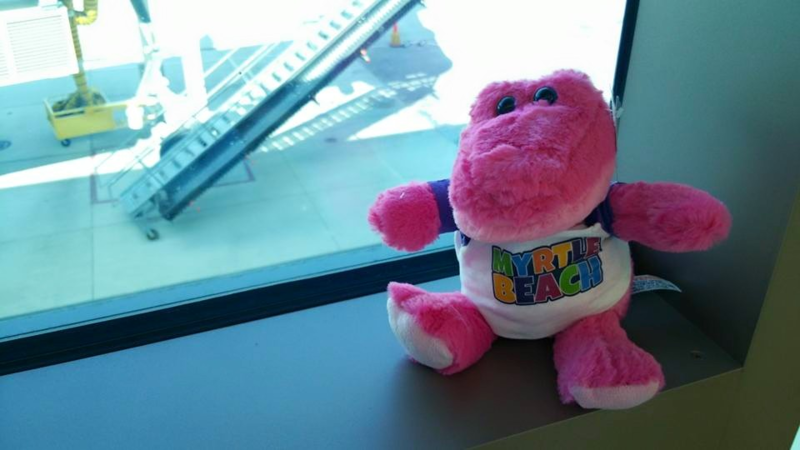 Actually I found a pink alligator at Myrtle Beach Interenational Airport and bought it while I was going back to Japan three years ago. He found the alligator at Amazon.com. So it must be this? 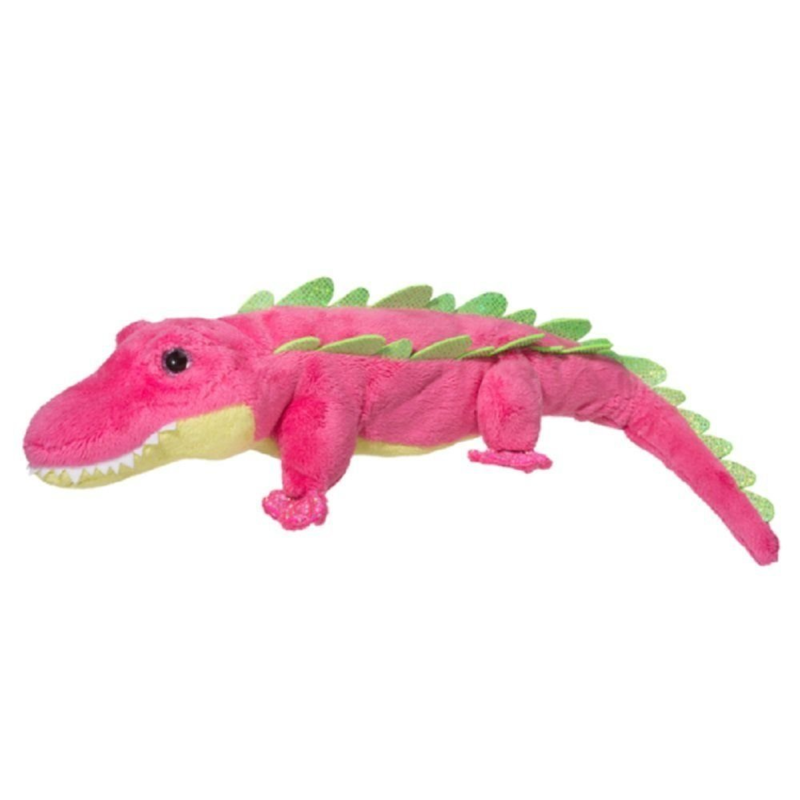 16" long with tail Audrey the pink stuffed Alligator is some serious pink cuteness! 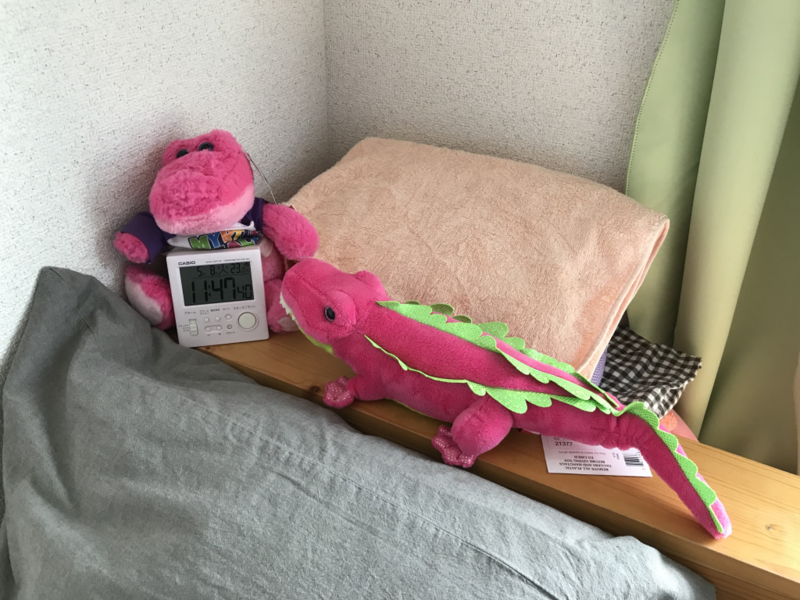 Glittery scales and feet with lime green belly this girly stuffed alligator is amazing!